A look at the bloodlines that changed the Canadian breed. 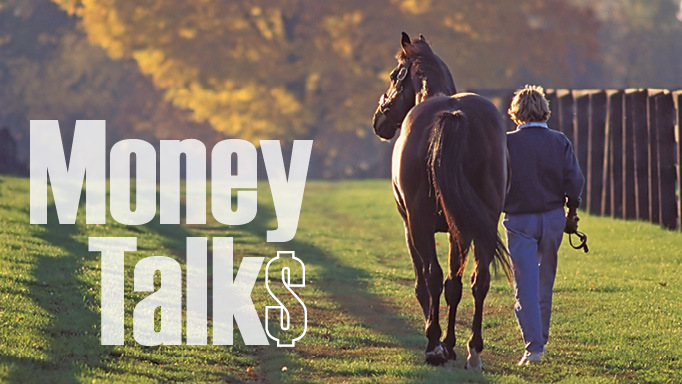 Down through the years, one of the greatest puzzles of the thoroughbred breeding world remains the wide disparity between just a few elite breeding sires and dams and the ordinary breeding stock. It certainly appears that there is a kind of “genetic royalty” when it comes to bloodlines, much like the few alpha males and females that breed among animal species in the wild. Among thoroughbreds, we saw the male line of Eclipse dominate the dawn of the breed, and the 20th Century saw the Phalaris male line nearly extinguish all others, although Phalaris certainly was not considered a great racehorse. Most eras have seen a trinity of three elite bloodlines compete for supremacy, and nowadays we see the male lines of Northern Dancer, Mr. Prospector and Seattle Slew dominating the breed. Canada has certainly played a role in this process, as the great Northern Dancer was a Canadian-bred himself, who then spent his first four seasons at stud at E.P. Taylor’s Windfields Farm in Oshawa, ON. Northern Dancer came from the first crop of leading Canadian sire Nearctic – a brilliantly fast colt who was plagued by the same quarter-crack problems that he passed on to Northern Dancer. Northern Dancer was able to overcome these foot problems to win the Kentucky Derby and Preakness, but it probably cost him the Belmont Stakes and the Triple Crown. Nevertheless, Northern Dancer bounced back to win the Queen’s Plate in his final race before retiring to stud at Windfields in Canada. Nearctic also sired leading sire Icecapade, who in turn sired the good stallion Wild Again – sire of current leading stallion Milwaukee Brew. Nearctic’s son, Briarctic, also stood at Windfields and sired Queen’s Plate winner Son of Briarctic, a successful sire in his own right. Probably because of his unusually diminutive size, Northern Dancer began his stud career with fairly modest demand, and bred only 21 foals in his first crop of 1967. But this crop included an incredible 10 stakes winners and the undefeated 2 YO colt Viceregal, who was named Canadian Horse of the Year. His second crop included the English Triple Crown winner, Nijinsky II, along with Vice Regent – who went on to lead the Canadian sire list 13 times wile standing at Windfields for E.P. Taylor. Such early success led Taylor to move Northern Dancer to Windfields in Maryland, where his stud fee eventually skyrocketed to as much as $1 million. Besides Vice Regent and Nijinsky II, Northern Dancer’s sons Sadler’s Wells and Danzig became champion sires, as did his grandsons, Deputy Minister (Vice Regent) and Storm Cat (Storm Bird). Deputy Minister was Canada’s Horse of the Year as a 2-year-old in 1981, when he won 8 of 9 starts, before becoming a top sire and now broodmare sire in America. Storm Cat become the most expensive stallion in America at $500,000, and led the Juvenile Sires list a record seven times. His grandsons, Old Forester (Forestry) and Giant Gizmo (Giant’s Causeway) are now leading sires in Canada. Northern Dancer’s son Danzig also became a champion sire in America, although he never won a stake in his very brief racing career. His most important son at stud was Danehill – many times leading sire in Australia, where his sons continue to shine. In North America, Danzig’s son Langfuhr (inbred 3×3–Nearctic) became a fine racehorse and the sire of Wando, who won the Canadian Triple Crown in 2003. Langfuhr also sired the current stallion Imperialism (3×4–Northern Dancer), now a leading sire in Alberta. But it is through Northern Dancer’s son Sadler’s Wells that the future of this dominant sireline may rest. Sadler’s Wells was bred in America, but raced in Europe for Robert Sangster’s Swettenham Stud. He was not the best of his class in Europe, but he did count the 2000 Irish Guineas among his Group wins there. Retired to stud at Coolmore in Ireland following his 3-year-old campaign, Sadler’s Wells was an immediate success at stud and never looked back. He led the British sire list 14 times, including an unprecedented 13 in a row. He soon surpassed Northern Dancer’s all-time record of 146 stakes winners. The early sons of Sadler’s Wells at stud enjoyed rather modest success. But his son Galileo is now the top sire in the world, and his son El Prado sired Medaglia d’Oro and Artie Schiller, both successful sires at present. In Canada, Sadler’s Wells saw his son Sligo Bay sire the filly Lexie Lou, Canadian Horse of the Year in 2014. And Sadler’s son, Not Impossible, sired Queen’s Plate winner Not Bourbon. The Seattle Slew line has been revived dramatically by his top son A.P. Indy — whose grandson Tapit is now the top sire in the United States. Seattle Slew himself revived the once-great Bold Ruler line, and Slew’s grandsire, Boldnesian, also sired Bold Ruckus – who led the Canadian sires list new fewer than 10 times. 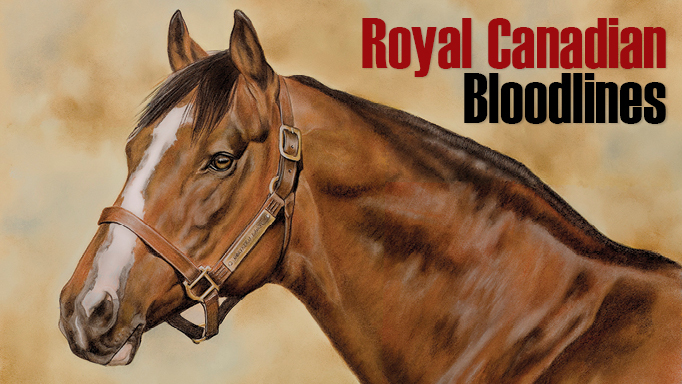 Prominent offspring of Bold Ruckus included million-dollar winner Beau Genius, and Bold Executive – who led the Canadian sires list in 2003-2004. The Mr. Prospector sireline has been primarily dominant in the United States, where his male line includes the likes of Unbridled, America Pharoah, Curlin and his sire Smart Strike. Smart Strike was a Canadian-bred son of Mr. Prospector from the top broodmare, Classy ‘n Smart, making him a half-brother to Canadian champion filly Dance Smartly. Which leads us to some of the great female families in Canada. Dance Smartly (Danzig) was undefeated in 1991, while winning the Canadian Triple Crown against the boys. She also became the first filly ever to win a Breeders’ Cup race, for Ernie Samuel and his Sam-Son Farm. She was sired by a champion sire in Danzig, and her dam was the top broodmare Classy ‘n Smart. As a broodmare, Dance Smartly produced Queen’s Plate winners Dancethruthedawn and Scatter the Gold, both by Mr. Prospector. Dance Smartly, in turn, was out of the fine broodmare, Classy ‘n Smart, who was out of the extraordinary broodmare No Class (Nodouble). Remarkably, Dance Smartly (Danzig), her dam Classy ‘n Smart (Smarten), and her 2nd dam No Class (Nodouble), were all Canadian Broodmares of the Year. And while top sires are usually sired by top sires, top broodmares often find themselves sired by more modest sires, as in the case of Classy ‘n Smart (Smarten) and No Class (Nodouble). Another noteworthy Canadian female family is that of Cool Mood (Northern Dancer). She won the 1969 Canadian Oaks, and as a broodmare she produced Canadian Broodmare of the Year, Passing Mood (Buckpasser). Passing Mood, in turn, produced 1989 Canadian Triple Crown winner With Approval (Caro) as well as 1997 Belmont Stakes winner Touch Gold (inbred 3×3-Northern Dancer). 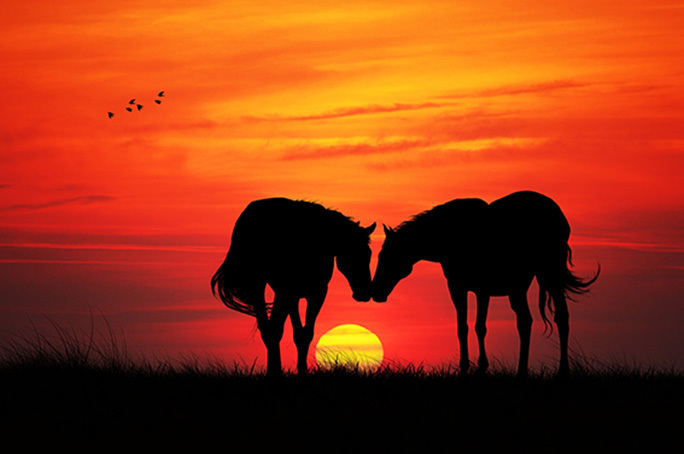 In retrospect, there is clearly a pattern of genetic royalty involved in the thoroughbred breed in general, and the Canadian breed in particular. More and more couples are working together in the backstretch. 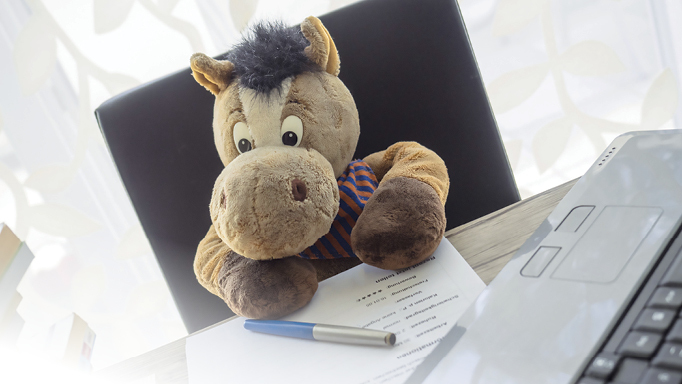 How well do you understand your equine insurance policy?